This show remains a really fun, interesting, and mystery packed show. Yet another episode that both reveals more information and yet still keeps the mystery building. The start of this episode is a good example, but various scenes in this episode fit that description. That scene with Hakuno and Alice at the very start is great fuel for speculation. It does make the speculation that Hakuno has been stuck in a loop very believable. This isn’t necessarily the first time he’s met Alice. Just that previous time he was able to find an opponent to defeat and thus didn’t have to go after Alice. She was left on that floor as he went along his journey. Of course as we can guess, that didn’t end well for him. It is kind of a sad thing that he’ll likely have to bring down Alice to move on without other options. Another big thing was answering the question of “what happened to Amari! ?” Of course it doesn’t exactly fully answer that question, but it does reveal quite a bit. Unlike Shinji who couldn’t stomach continuing onward, Amari was able to reach this third level. We also get to find out that she met Rin while she was here. We don’t necessarily know what happened to her, but we can guess that she fought a past version of Hakuno and that’s how he was able to ascend at the start of this episode. It was an interesting scene with Rin though. Amari wanted to fight, but Rin refused to fight anyone that she didn’t think could continue moving ahead. She openly judged Amari as being too weak to be worth fighting. No point dealing with someone that would fail on the next level. I do feel for Amari a bit just based on her quick backstory. She was a girl with a difficult background who came to find some acceptance or basically change her situation. But she was devastated with the realization that…no one was clearly weaker than she was. Of course that makes sense. These wizards didn’t get to the Moon Cell without having a certain level of ability. Still going from saying “hey I’m above average” to finding out that you aren’t even that impressive had to be shocking. I do think the scenes with her and Shinji in the first episode were a replication of what kind of relationship they did have. Maybe she was trying to use Shinji, but I can agree with Hakuno that they didn’t look bad together. In the end I do get the feeling that she and Hakuno clashed and that didn’t turn out well for her. Although maybe she was better off than most. Shinji was left to take care of that city he made for 1000 years. At least Amari wasn’t stuck living for such an incredibly long time. Though I suppose it depends on how her last moments turned out. 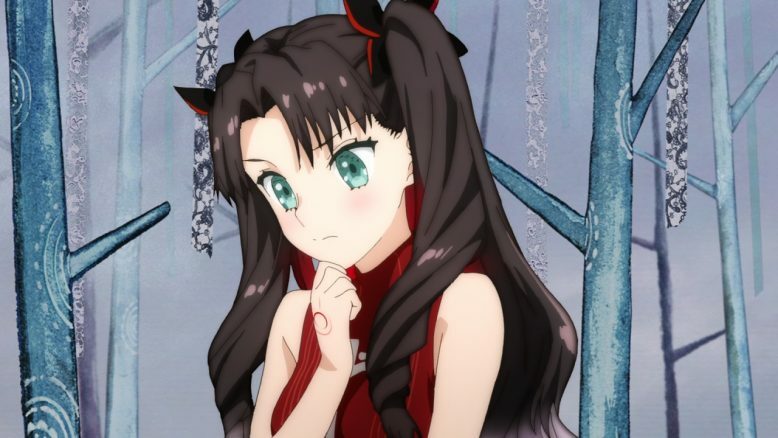 We may still get to see a flashback or vision of what happened with her and Hakuno after that conversation. 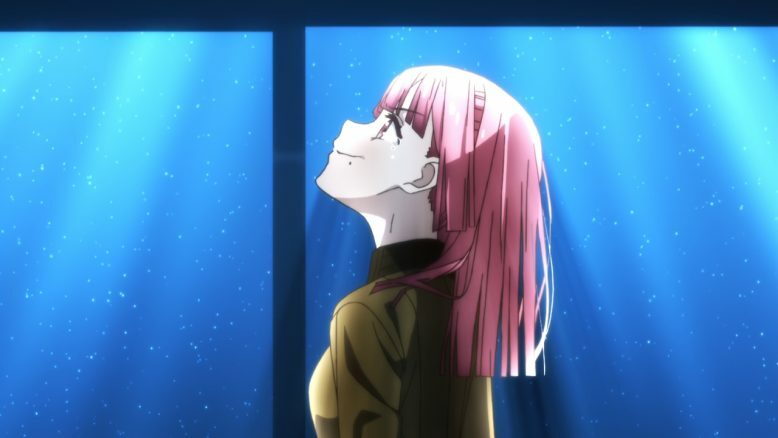 Just too bad that it doesn’t appear that we’ll be seeing her alive going forward. You can just tell Shaft is having a blast with this show. This is just another reminder that they were the perfect studio to be handling this particular series. 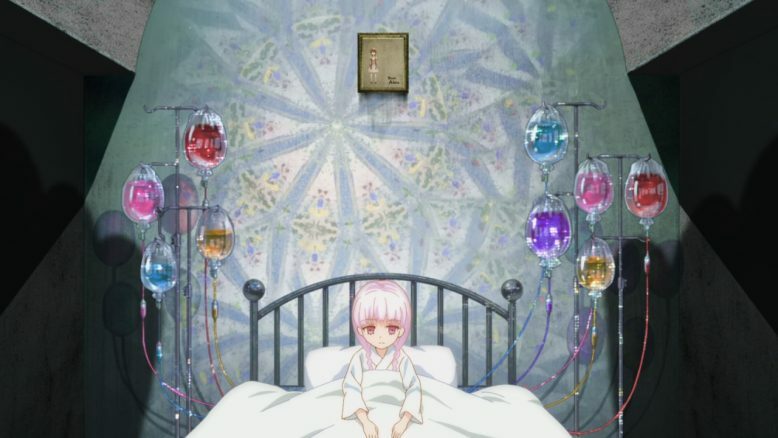 They really tapped into their Madoka history with this one. A good thing since this particular floor seems well suited to that approach. The Wonderland motif they are going with works nicely here. And this approach did let them tackle Alice’s backstory in a way that is incredibly creepy, but not visibly disturbing. You can feel how that girl’s life before she ‘died’ was miserable. I can’t imagine the constant suffering Alice experienced and even her death wasn’t peaceful. Now she’s in this place as a kind of digital ghost. There does seem to be a lot of similarity between Hakuno and Alice. Though whether Hakuno is himself a ghost or something else entirely it’s hard to say. It does make sense though why he softens around Alice and played with her. I can also get why the Hakuno at the start of the episode made the promise he did and probably intended to come back to see her once it was all over. Of course we can tell that things didn’t go as planned and he ended up starting over at the bottom. I can already tell that I’m going to feel bad about the likely defeat of Alice. It doesn’t seem as if there are many options to continue onward outside of defeating her. 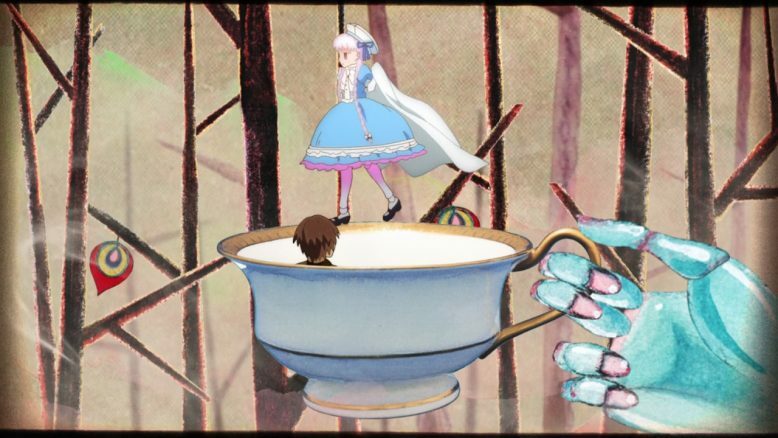 That girl has been hiding around in her Wonderland for presumably 1000 years now. Maybe it is time for her to rest as well. This was another strong episode for me. I’m enjoying how they are handling the mystery and their efforts to progress the story. They aren’t just making me feel frustrated with the mystery side of it. I’m not left going “gah, just tell me the truth!” This is a mystery that I’m willing to remain patient with and I’m filled with curiosity about how it will turn out by the end. 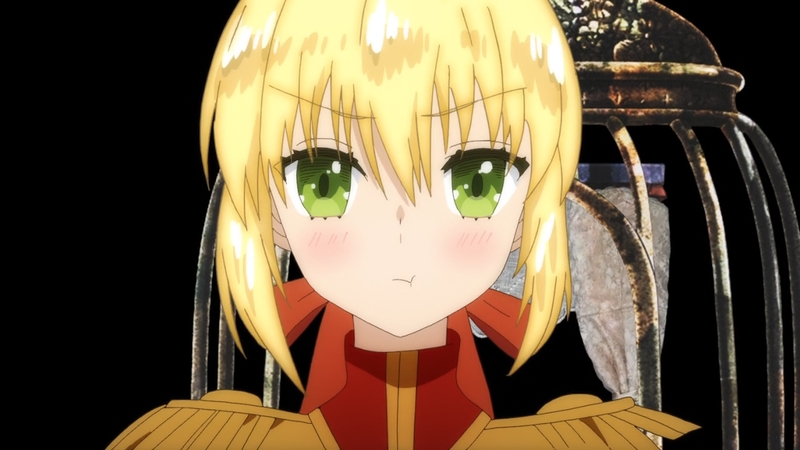 Honestly even with having played the Fate/Extra game I’m not sure how a lot of things are going to work out. 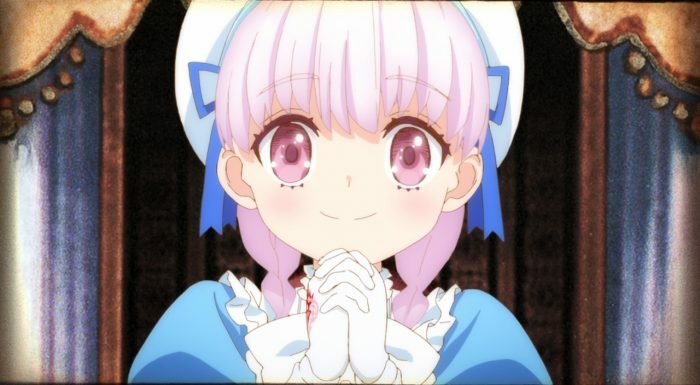 The next episode should be interesting with presumably the big showdown with Nursery Rhyme.